Verizon one of the most popular and largest Network provider and ISP of America faced a large scale cyber attack. A hacker going by the name of TibitXimer claimed to have breached one of major server of Verizon, by which he managed to gain access inside the database of Verizon customer. 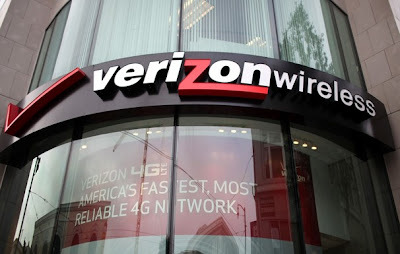 This data breach effected more than 3 Million Verizon FiOS customers including full names, addresses, mobile serial numbers, the opening date of each account, and account passwords. However, he said that figure was an estimate and had "no clue" exactly how many records there were, and that it was a "low estimate based on the size of one record and the size of all the files." A fraction of leaked data have been allegedly posted on pastebin, but later the post was removed. In a report Zdnet said that the cyber attack was taken place earlier in July, this year which allowed him to gain root access to the server holding the customer data. Tibit gained access to a server with little difficulty after working with another hacker to identify the security flaw. Though Tibit denied to mention the reason of this hack, and also he did not expose the nature of the vulnerability by which he managed to get access in the server. The hacker also said that after he informed Verizon of the exploit, the company "ignored my report," and did not comment. He also noted that the exploit "still exists." "The worst part of it all, every single record was in plain text," he said. "I did not have to decrypt anything." He said he couldn't understand "why they still haven't fixed the exploits," months after informing the company of its poor network security. Immediately after this hack Verizon authorities posted a notice while saying- "This incident was reported to the authorities when we first learned of it months ago and an investigation was launched. Many of the details surrounding this incident are incorrect and exaggerated. No Verizon systems were breached, no root access was gained, and this incident impacted a fraction of the number of individuals being reported. We take any and all attempts to violate consumer and customer privacy and security very seriously, so we notified individuals who could potentially have been impacted and took immediate steps to safeguard their information and privacy. Verizon has also notified law enforcement of this recent report as a follow-up to the original case. There was no hack, and no access gained. A third party marketing firm made a mistake and information was copied. As for wireless v. wired customers, some of the individuals listed were Verizon customers who are not wireless customers but wired/wireline customers or prospective customers...."